Constructed from 316 grade Stainless Steel with Food Grade (blue) Seals and IP65 Components. Designed to withstand Rigours of Food Production Environments. Can be provided as Head only or Full Weigh Scale System. 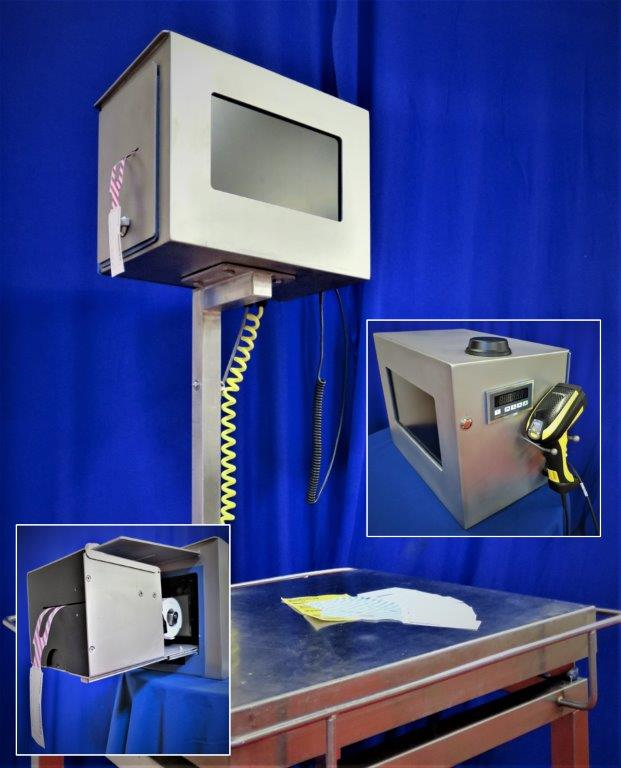 The Operator Weighing & Print station contains its own Indrustrial PC so can be used for other processes. MCG Food Systems have developed a Universal Operator Weighing & Print Station that can be used to replace existing operator stations and scale systems with a single unit where the process requires a label printing solution as part of their operation. The Operator Station is contained within a compact housing a Rugged Industrial PC; a plug swappable Thermal Label Printer and a Smart Process Indicator (Scale Head) with the options to connect via USB; RJ45 (Ethernet) or Wi-Fi. The Operator Station includes Digital I/O which gives the station the additional flexibility to measure & control other processes. As the unit contains its own Industrial PC it can be used for any process function not just weighing. The Head unit can be installed onto existing scale bases or can be supplied as a complete unit with scale base. The flexibility of the Operator Station means it can be installed where it is most convenient for the operator or where limited space allows. Provided in its own Industrial Housing that comes with RJ45; USB or Wi-Fi connectivity. System designed so that the Print engine is plug swappable for ease of maintenance. The housing is constructed from 316 grade Stainless Steel with Food Grade (blue) Seals and IP65 Components. Can be Shelf or Arm Mounted. Designed to withstand Rigours of Food Production Environments the housings are provided for the level of protection required. MCG Food Systems have developed a unique compact high-speed industrial printing solution that can be installed in areas where space is a premium. The printers are designed for high volume thermal label production and are designed so that the print engine can be quickly replaced. The plug and play printers are fully compliant with the latest Windows Operating Systems and require no configuration. The print engines are the world’s most reliable, high speed Thermal print engines and have been in production for over 37 years and come from the company that invented Thermal Label printing. MCG Food Systems can provide a complete solution of protected monitors and PC’s for your production environment. A variety of Monitors and PC’s are available to suit your needs from typically 10” to 22”. MCG Food Systems can provide a complete solution of protected monitors and PC’s for your production environment. 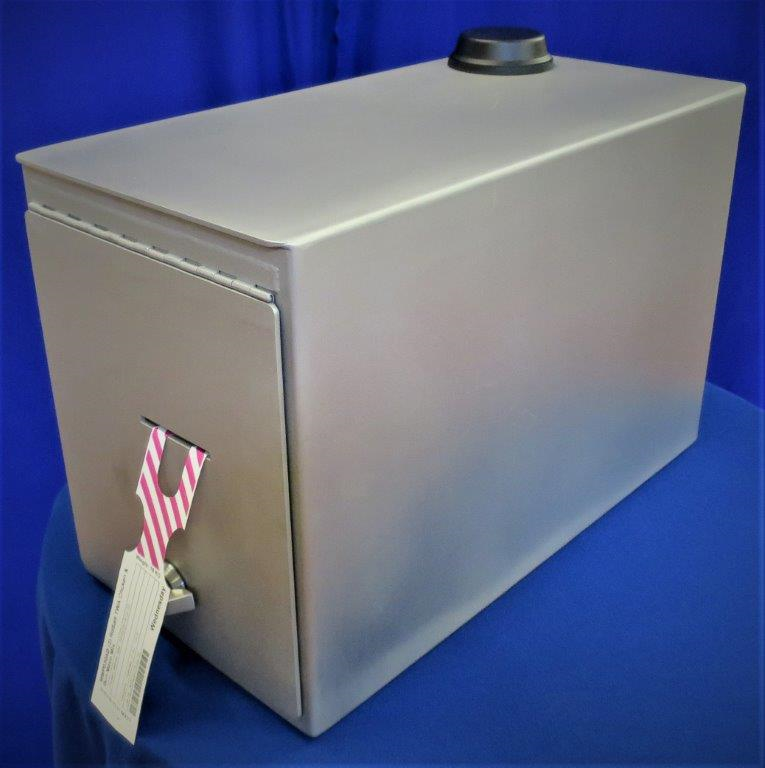 Manufactured from Stainless Steel 316, sealed to IP65 and using food safe seals, the housings are provided for the level of protection you required. 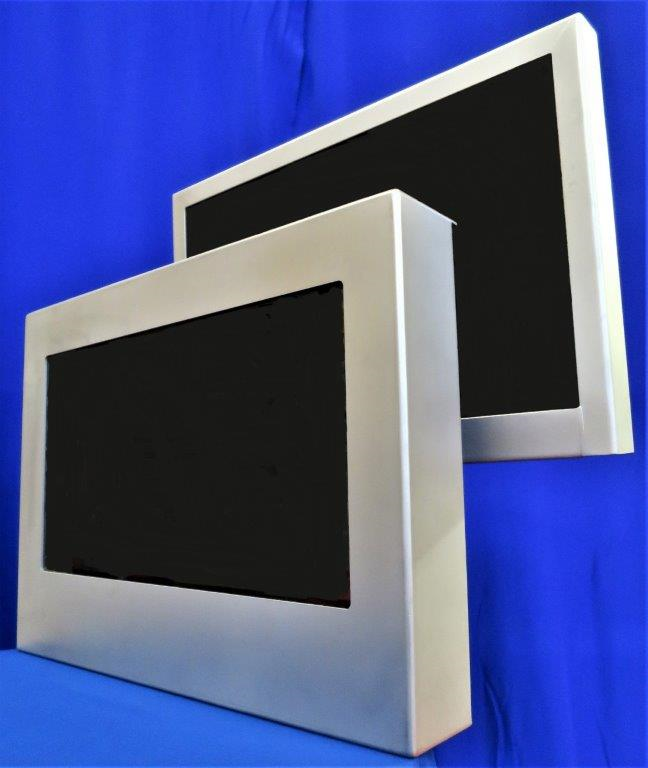 A variety of Monitors and PC’s are available to suit your needs typically from 10” to 22”.